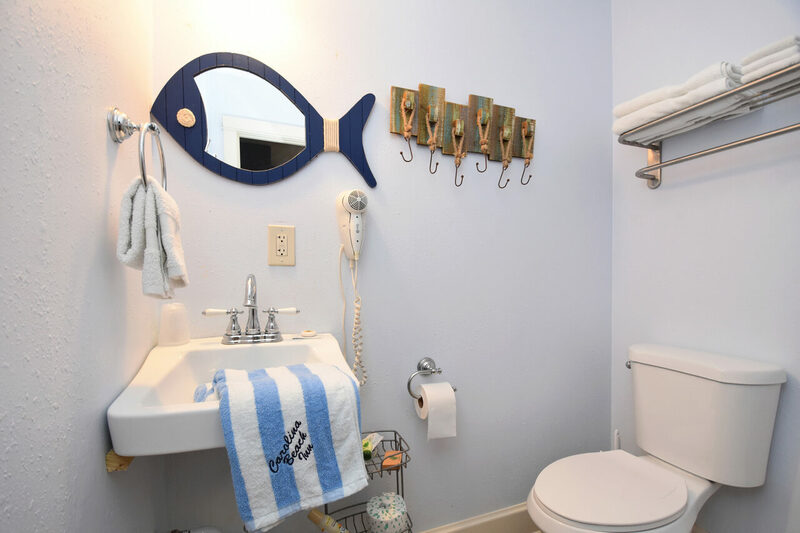 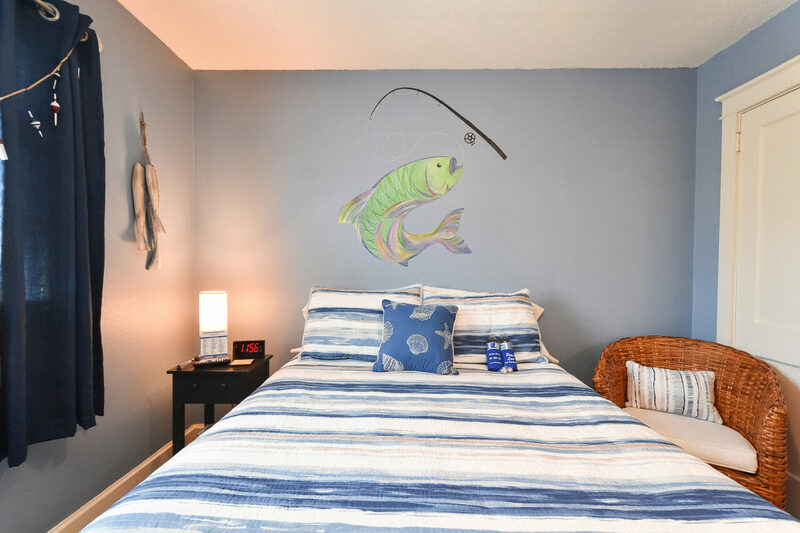 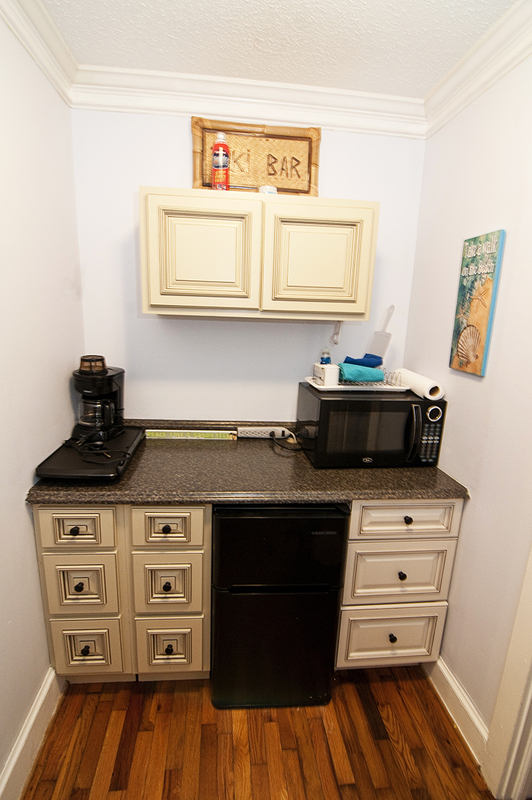 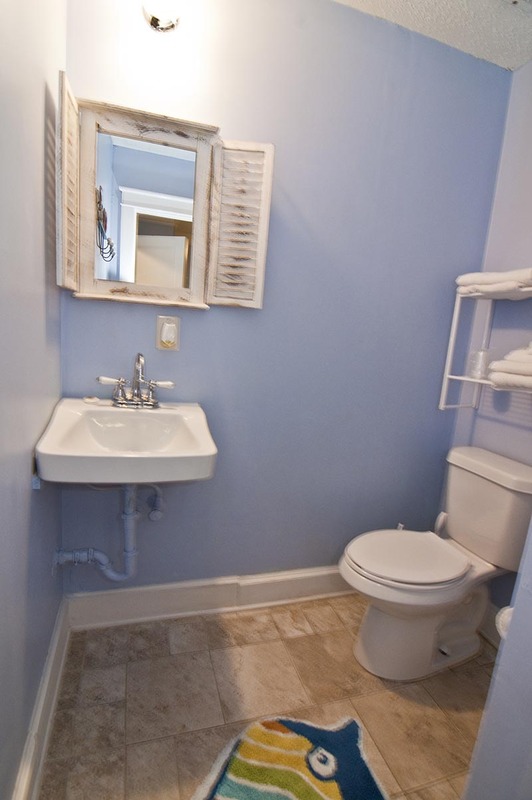 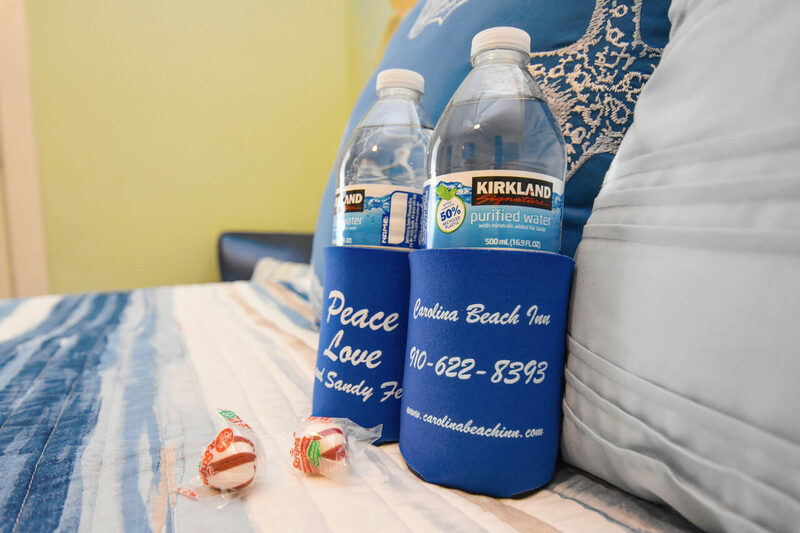 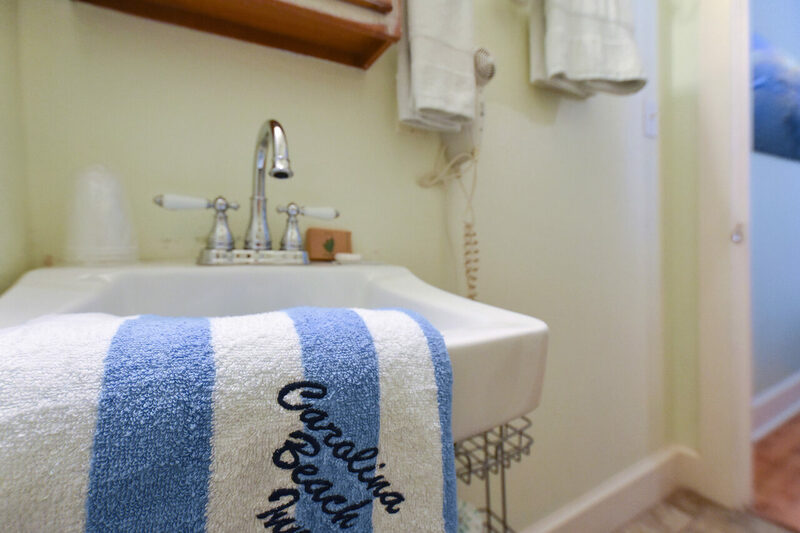 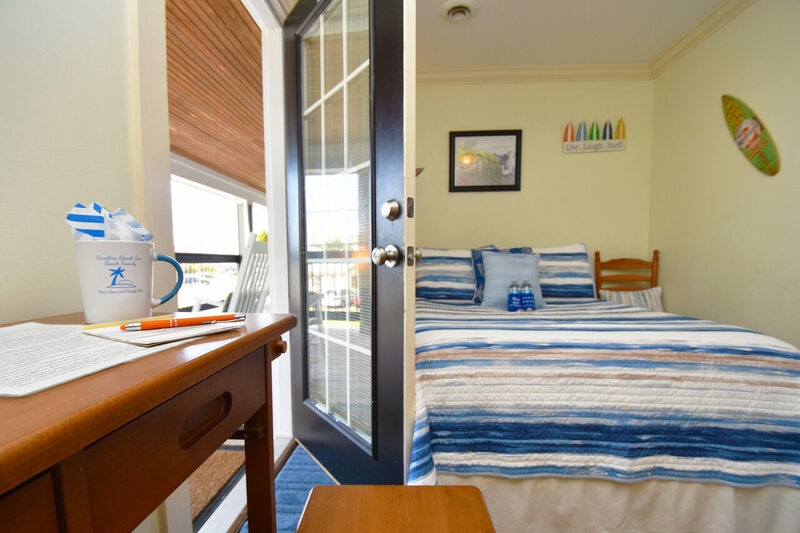 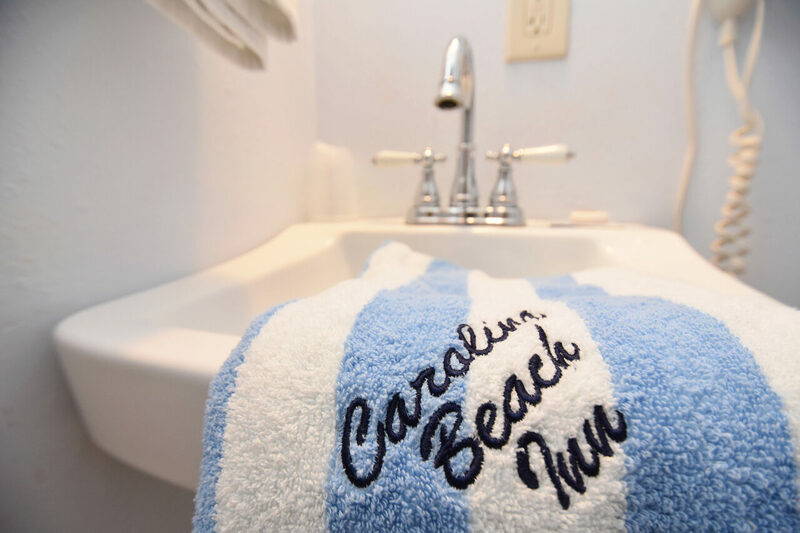 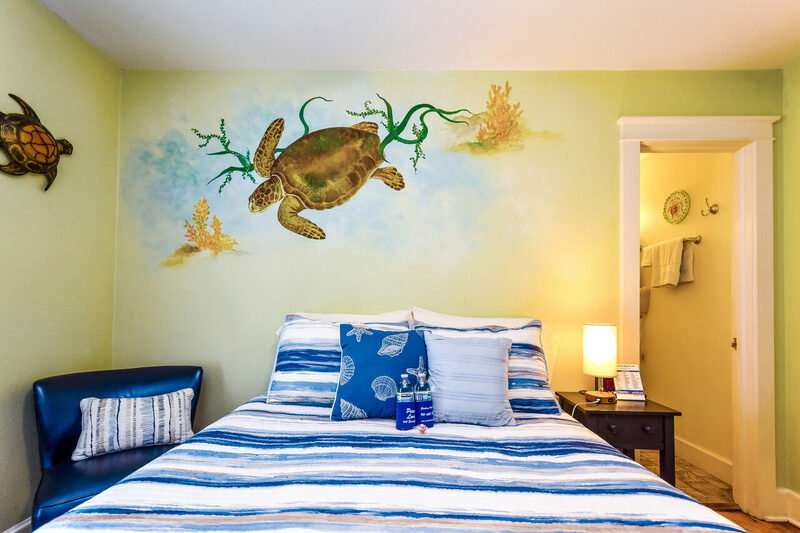 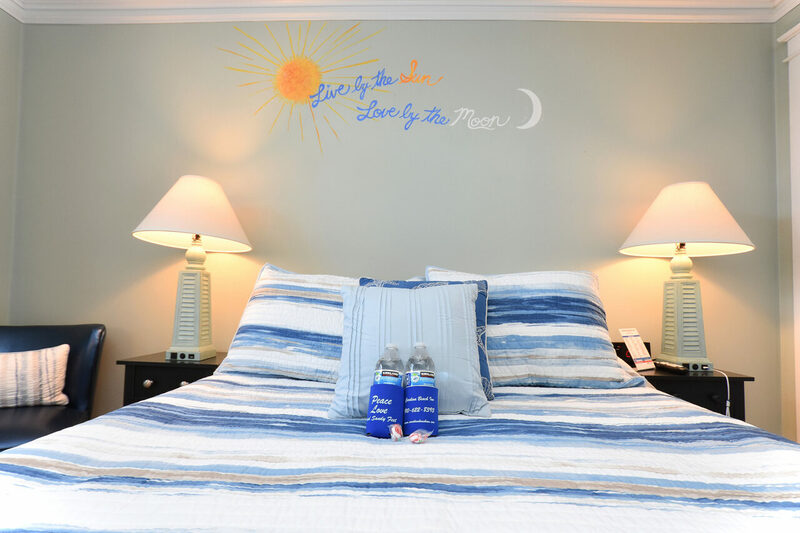 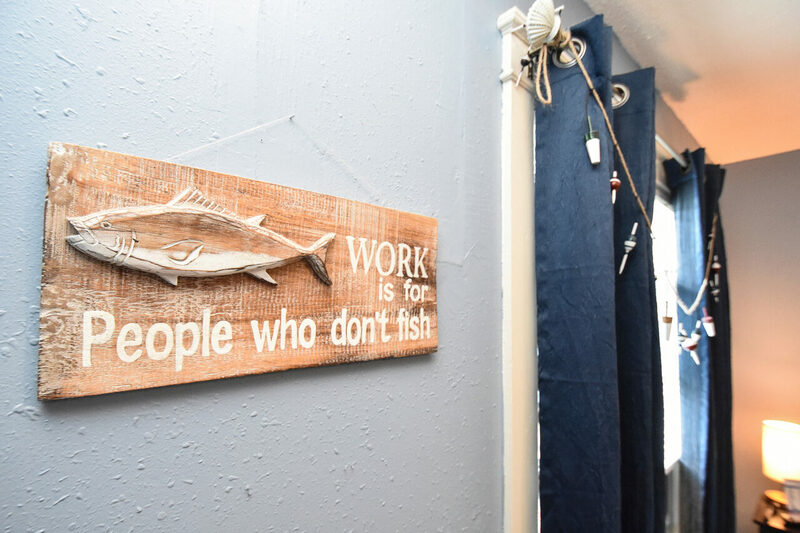 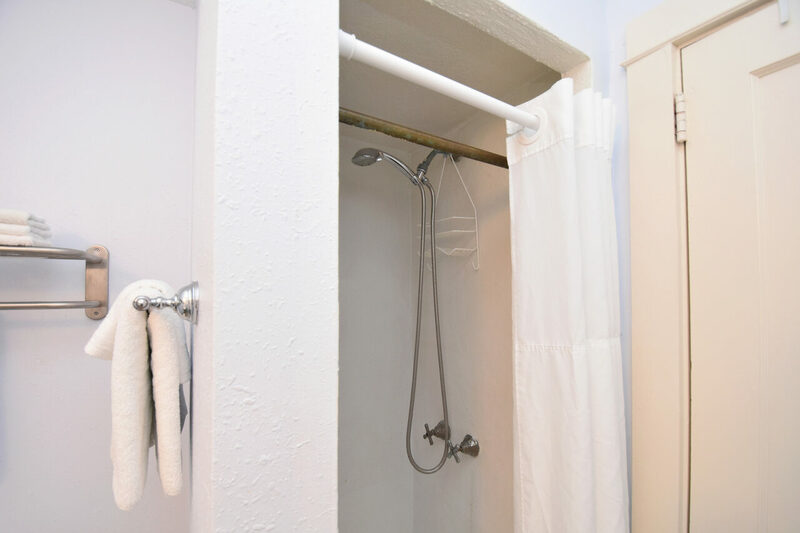 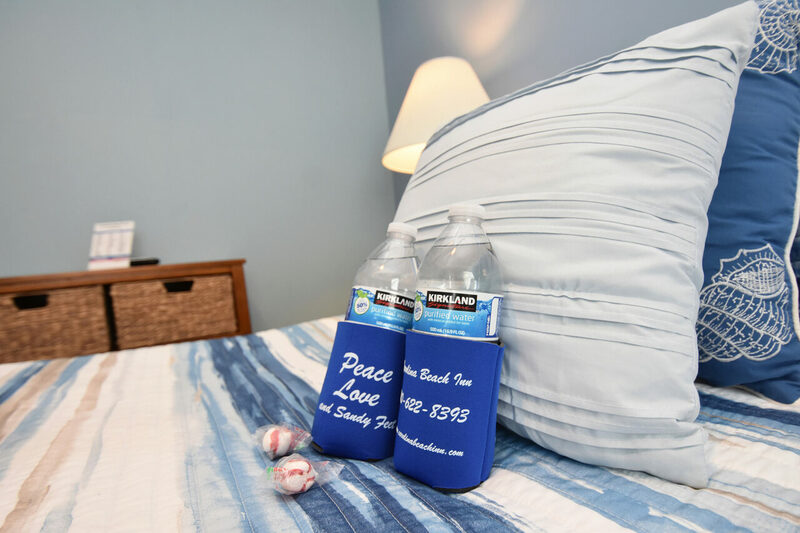 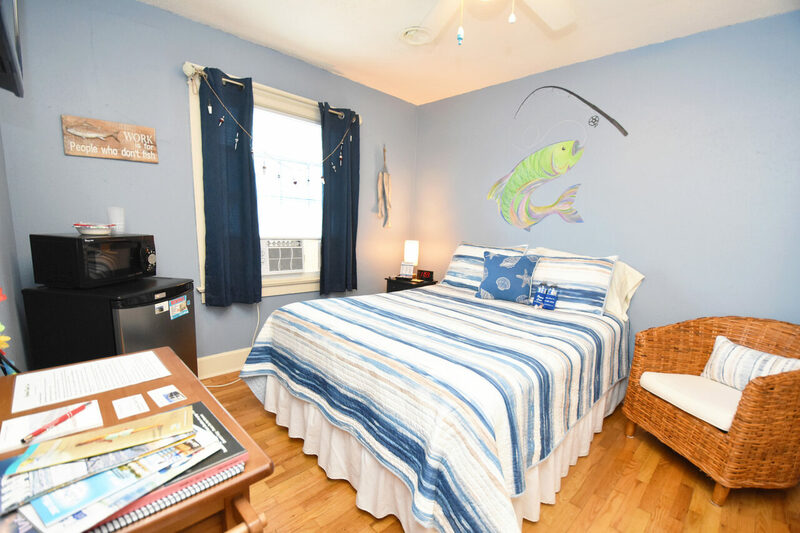 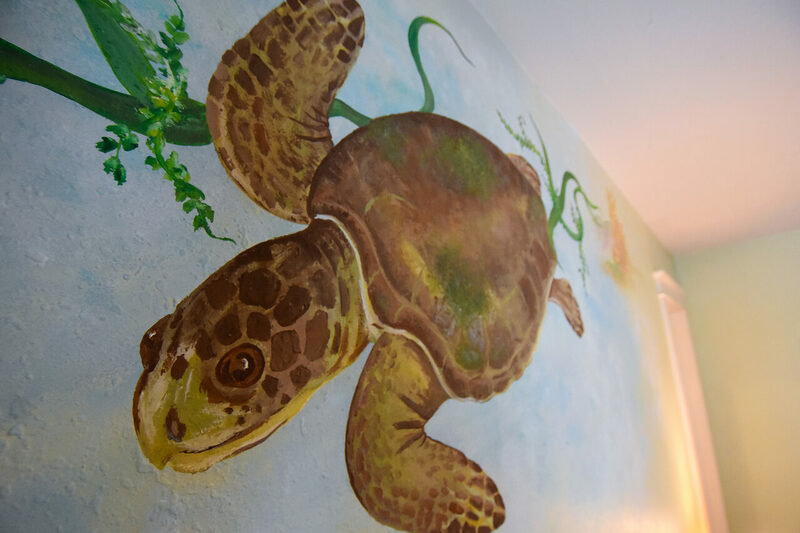 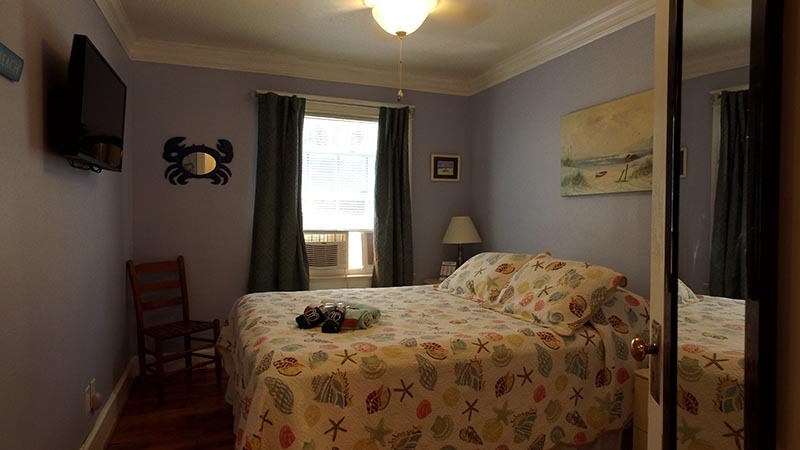 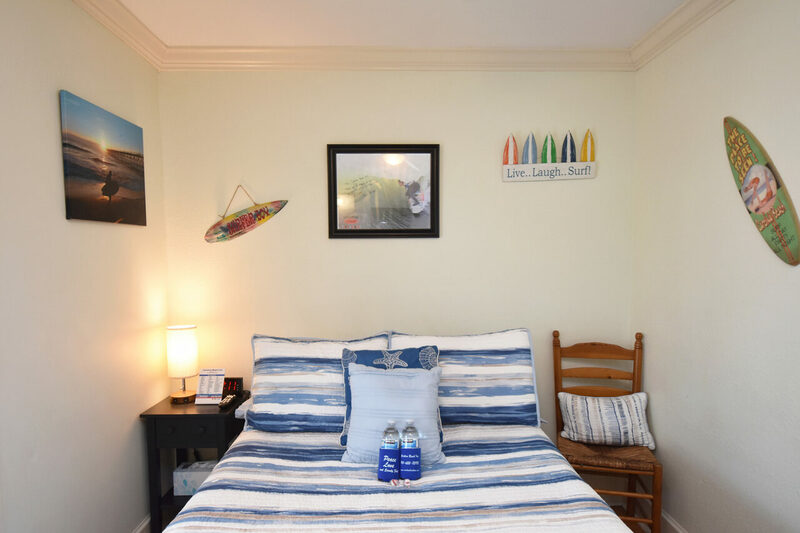 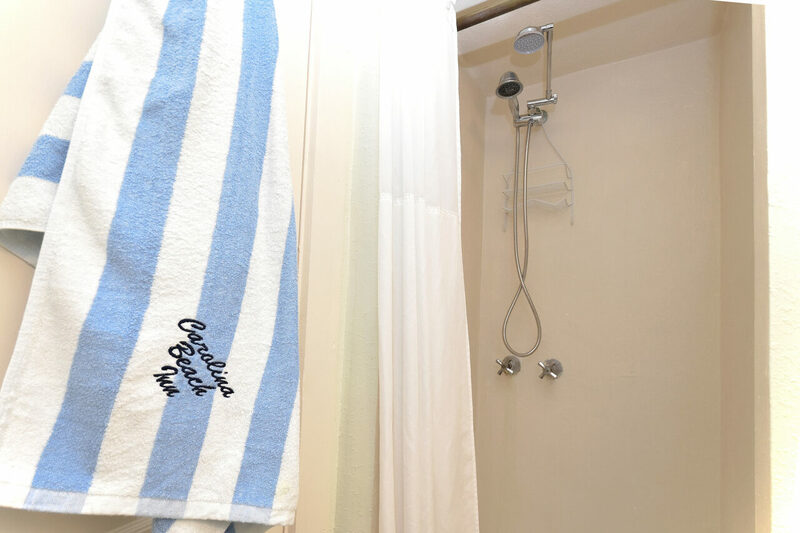 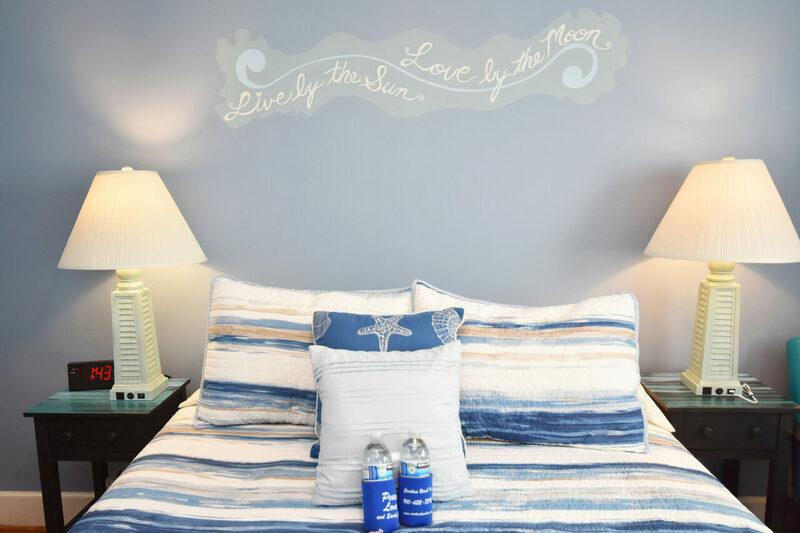 The Surfer Room is our smallest room for singles and couples offering all linens for a comfortable Full size bed, refrigerator and microwave, 32" Flat screen TV with Cable, private bathroom with shower. 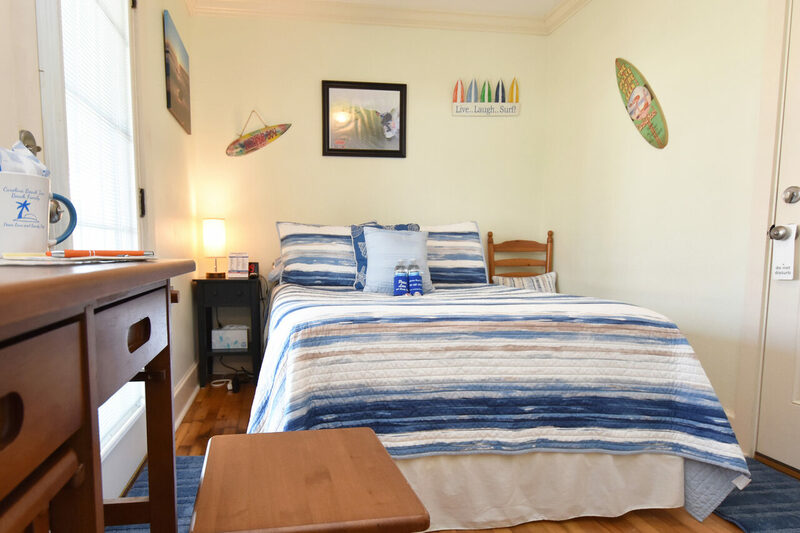 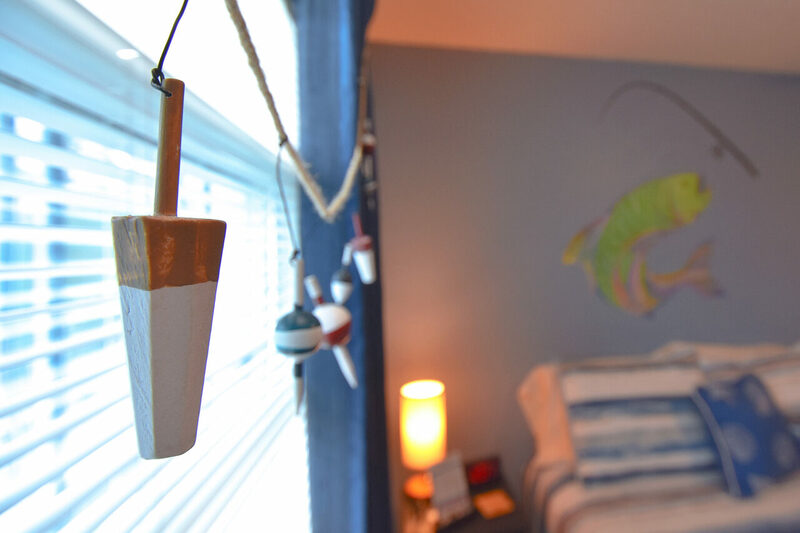 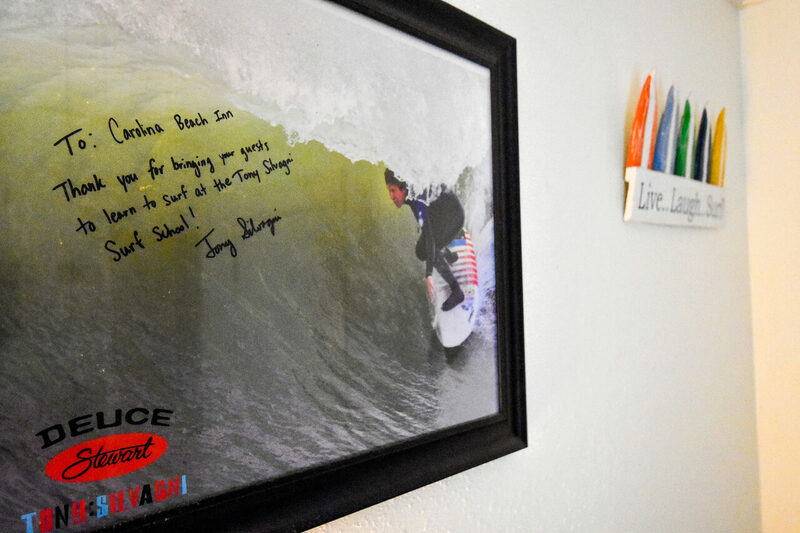 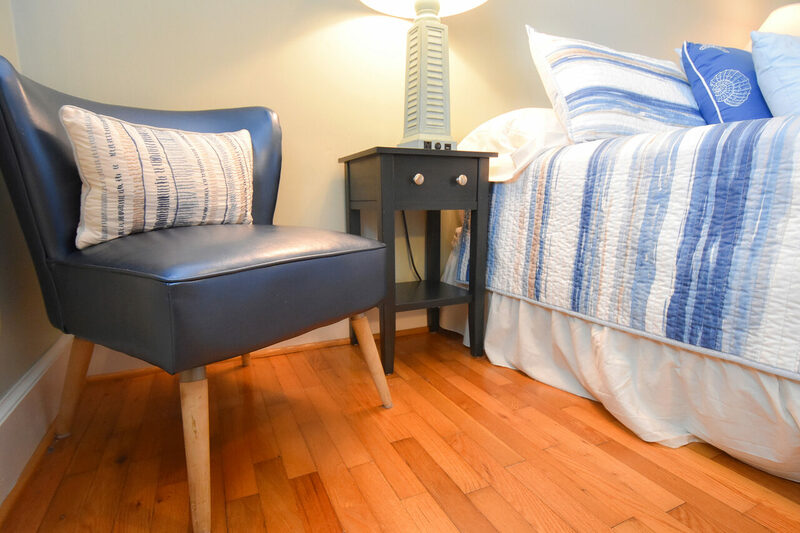 Original hardwood floors and surfer décor make this room affordable and fun. 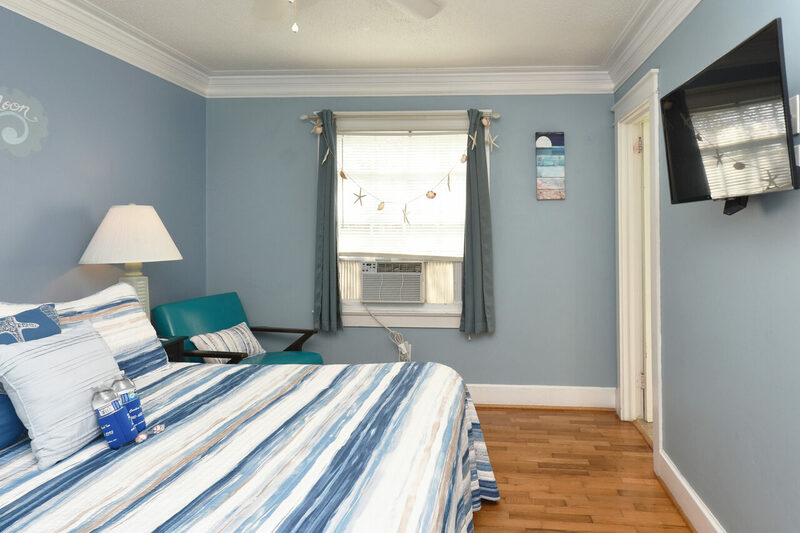 The Queen Room offers all linens for a comfortable Queen, refrigerator and microwave, 32" Flat screen TV with Cable, private bathroom with shower. 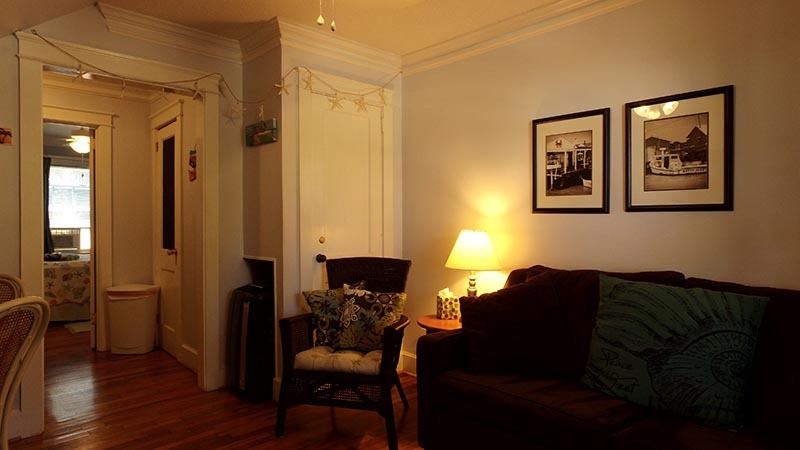 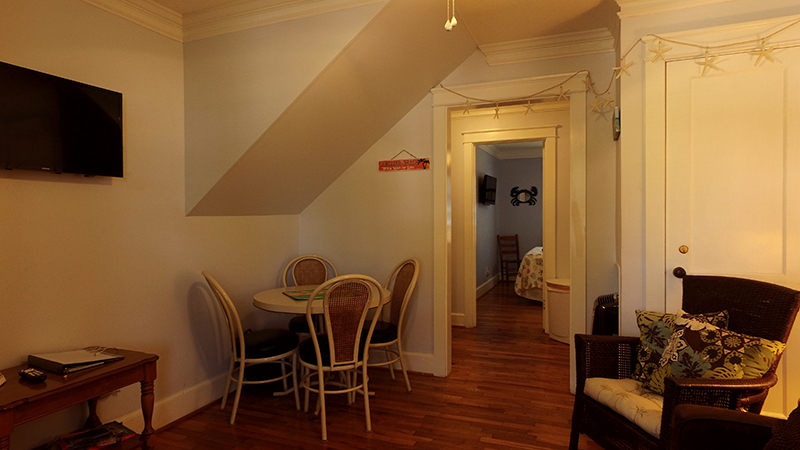 The Queen room is located on the second floor with access to the original hardware floored hallway. 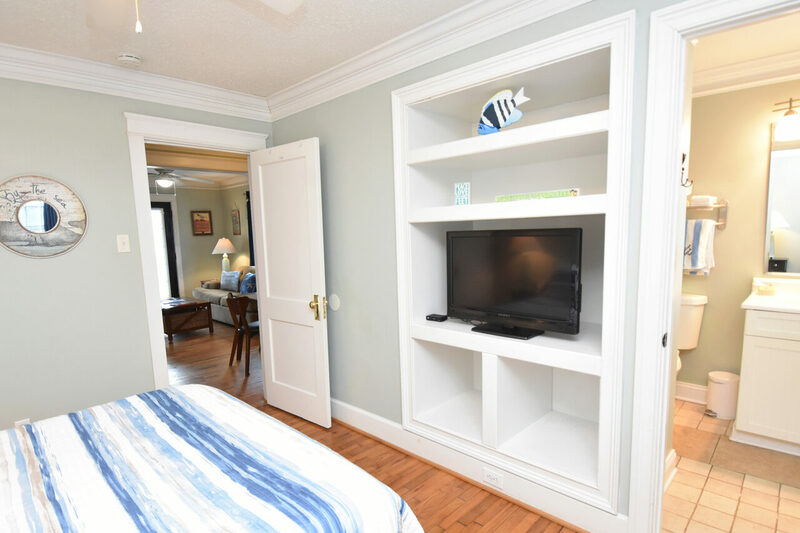 The Queen Suite offers all linens for a comfortable Queen bed, refrigerator and microwave, Keurig Coffee maker, (2) 32" Flat screen TV’s with Cable, private bathroom with shower. 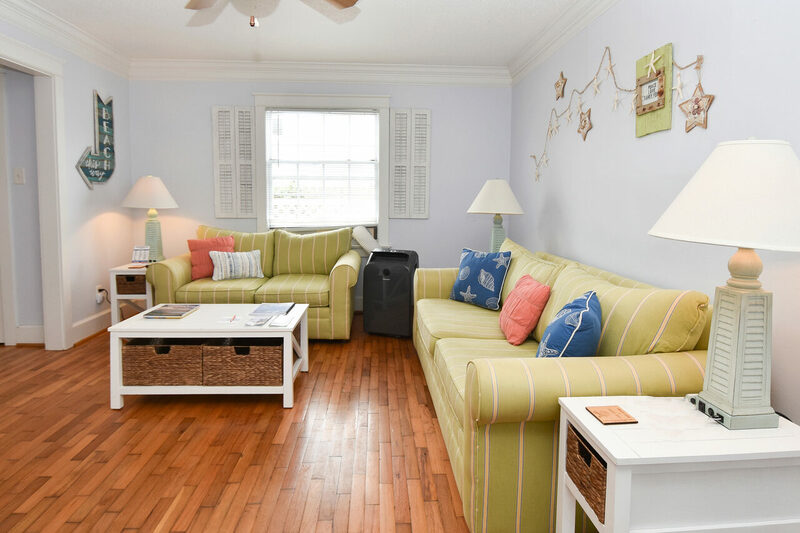 A living room with a full size sofa sleeper offering flexible sleeping options for the kids or another couple. 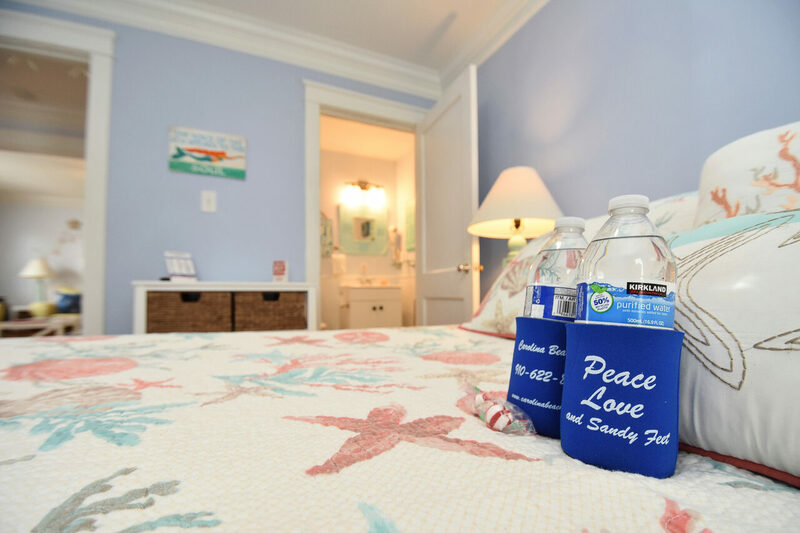 The Queen suite is located on the first floor rocking chair deck, where you can enjoy the evening ocean breezes. 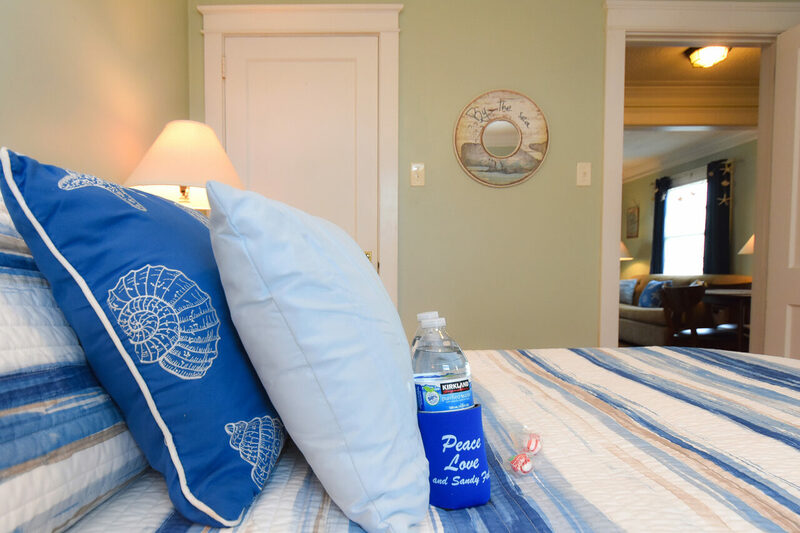 The Queen Suite offers all linens for a comfortable Queen size bed, refrigerator and microwave, Stove with Oven, coffee maker, 32" Flat screen TV’s with Cable, private bathroom with shower. 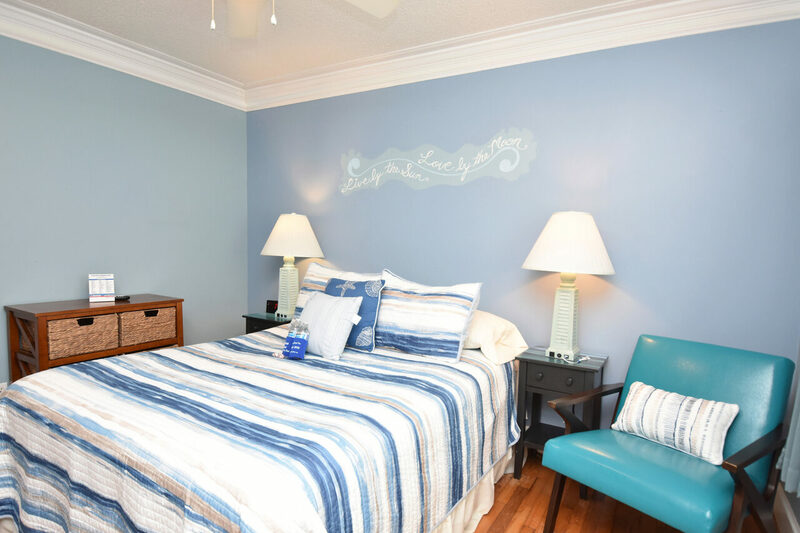 A full living room with a Queensize sofa sleeper offers flexible sleeping options for the kids or another couple. 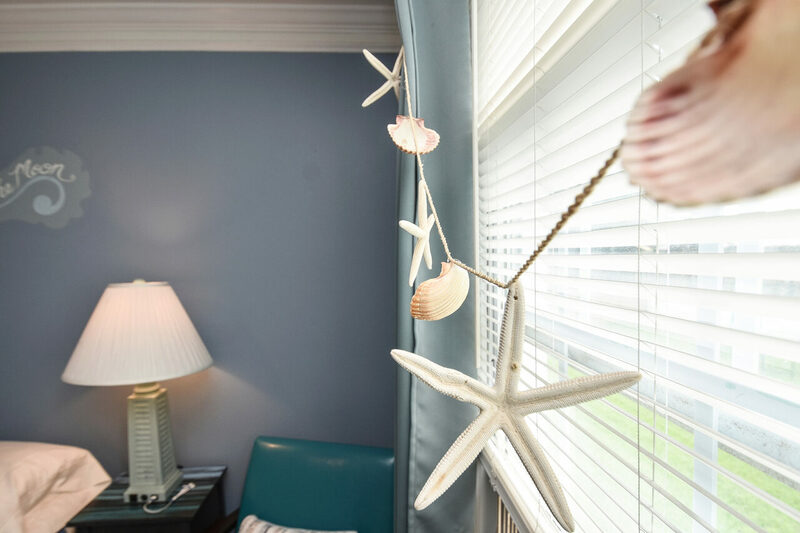 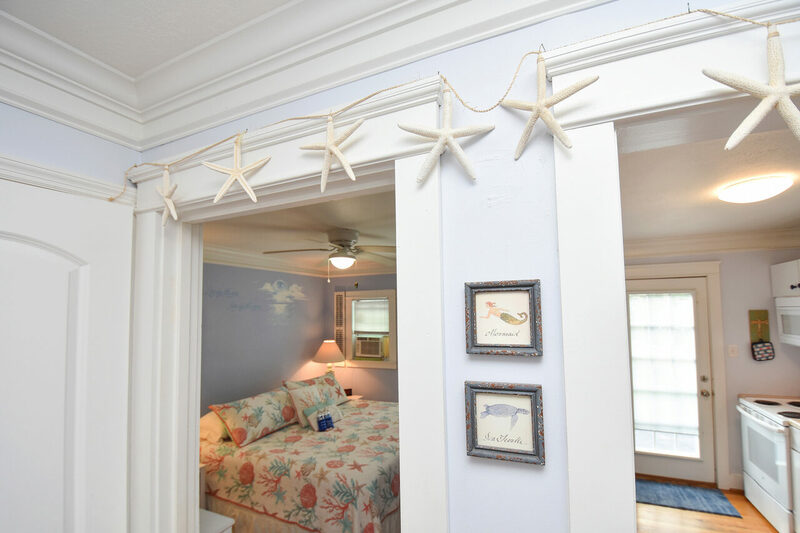 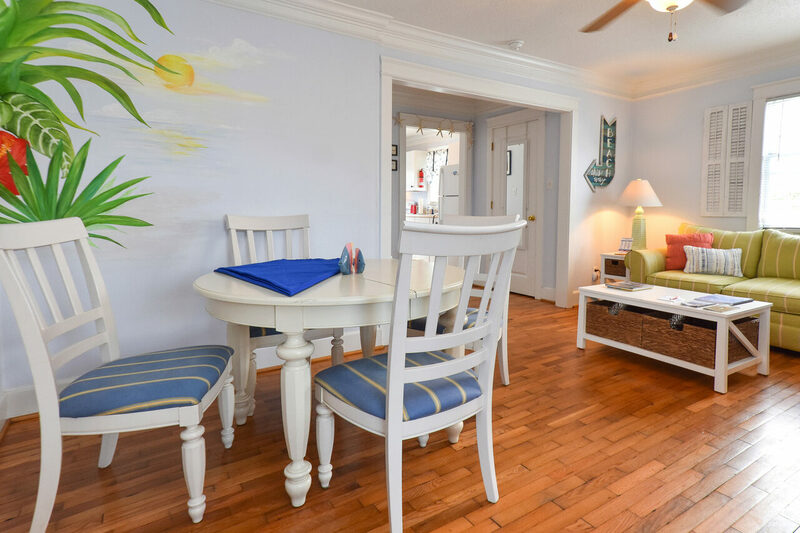 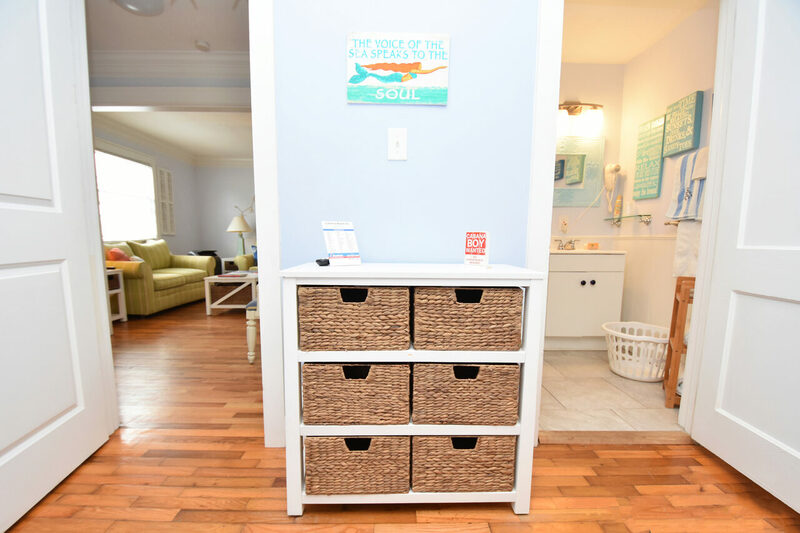 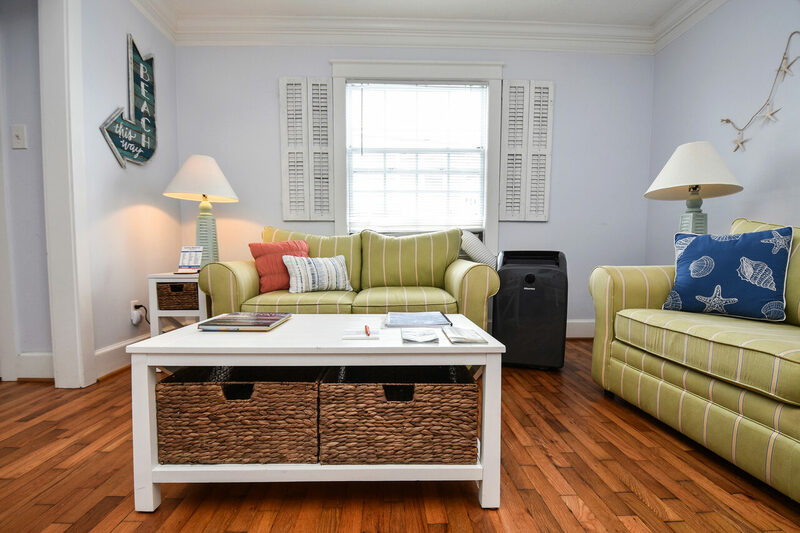 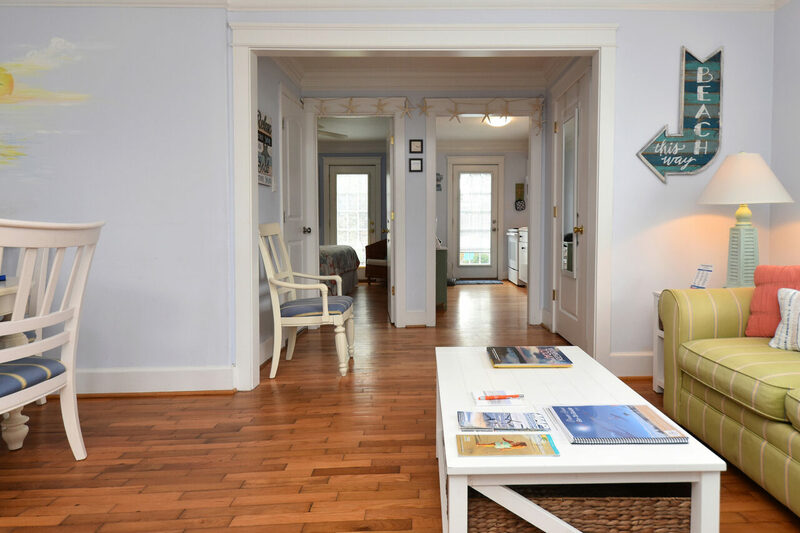 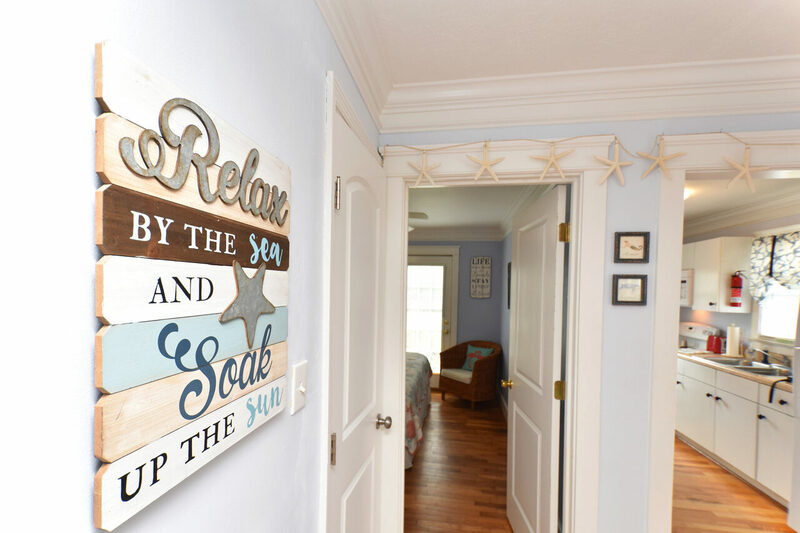 The Queen suite is located on the first floor with access to the rocking chairs, where you can meet your neighbor and enjoy the ocean breezes. 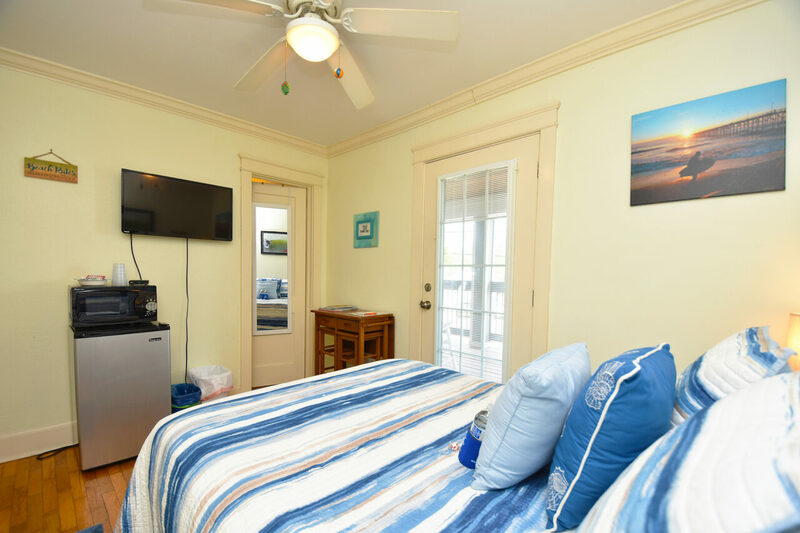 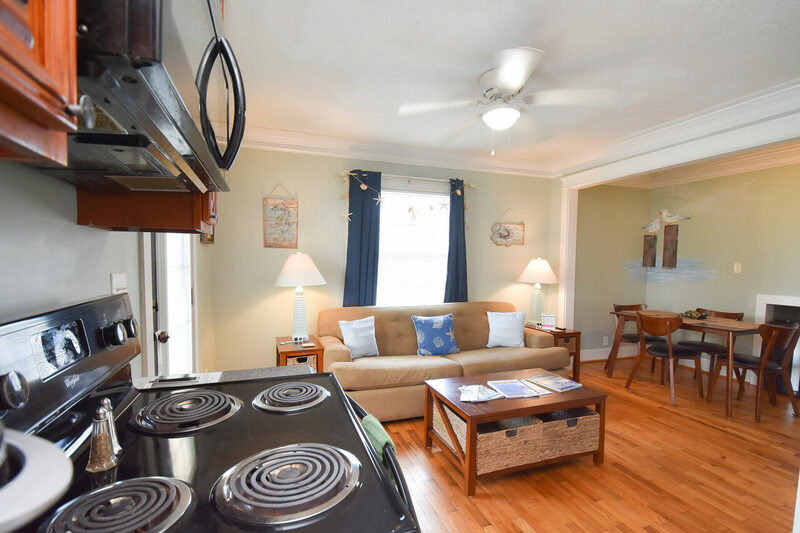 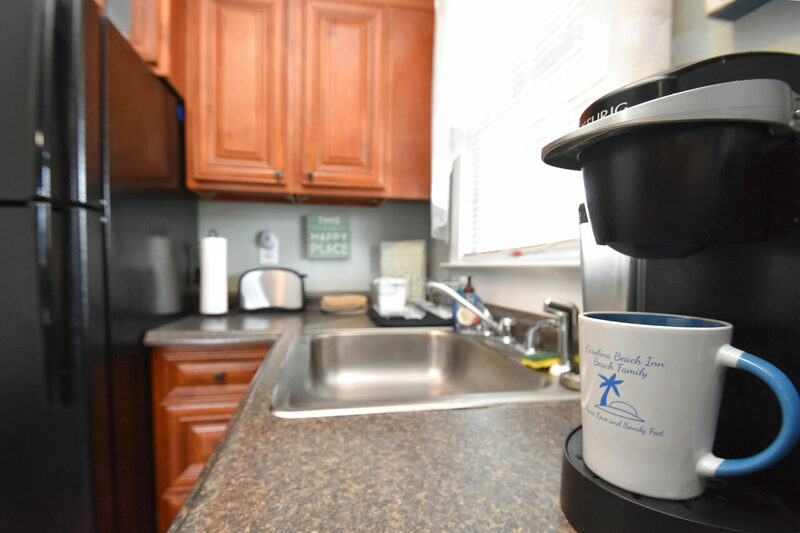 The Innkeepers Suite offers all linens for a comfortable King size bed, refrigerator and microwave,coffee maker, stove with Oven, (2) 32" Flat screen TV’s with Cable, private bathroom with shower. 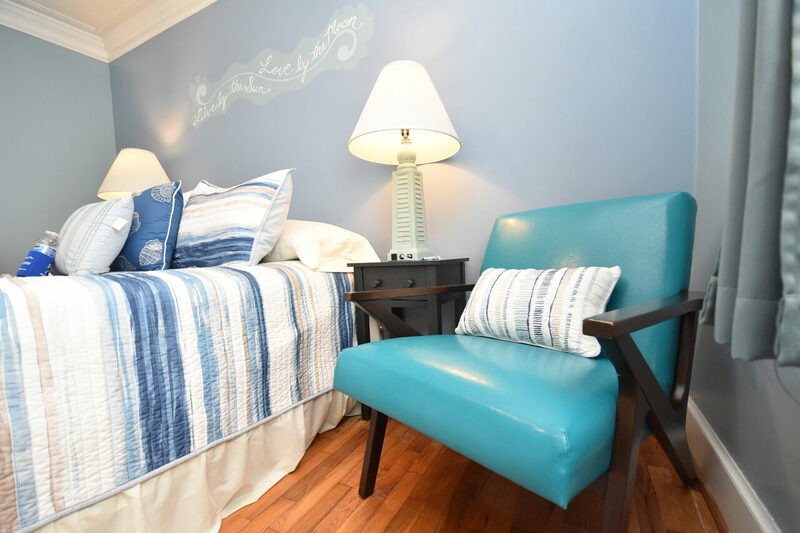 A full living room and Dining room with elegant table for 6, a Queen size sofa sleeper offers flexible sleeping options for the kids or another couple. 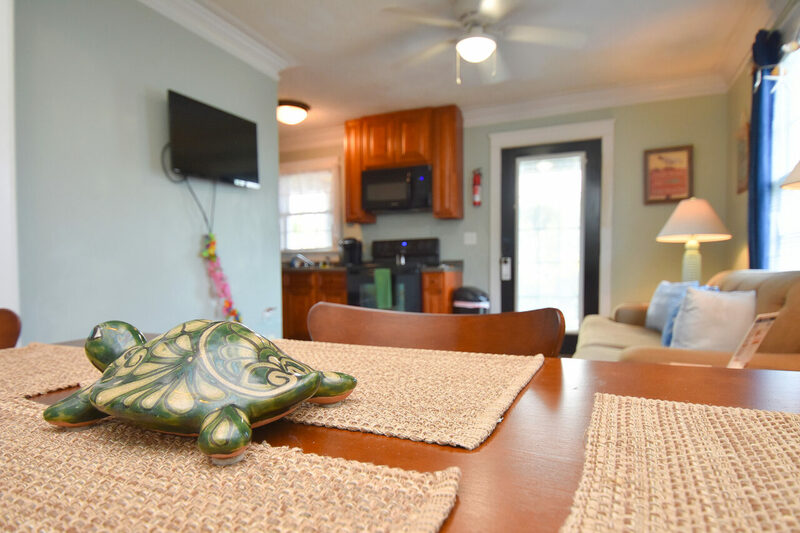 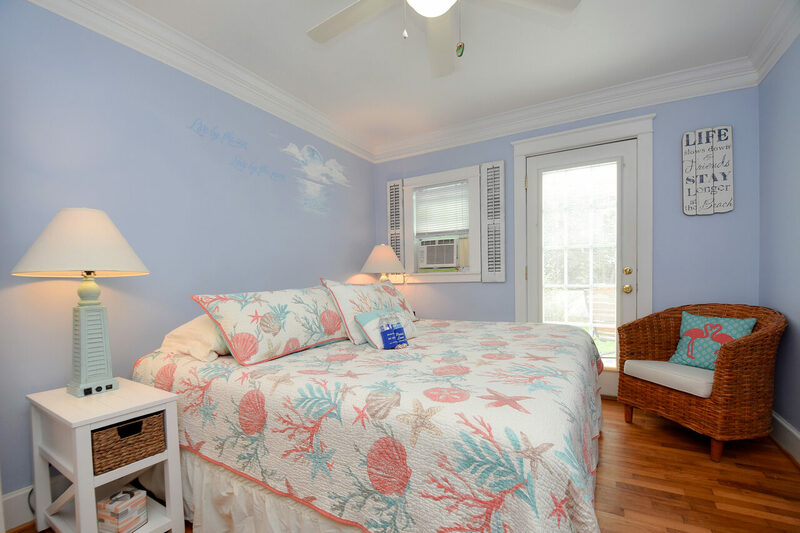 The Innkeepers suite is elegantly decorated and is very spacious and offers your own back door from the kitchen and master bedroom with a private deck to enjoy the flower garden in the back yard.